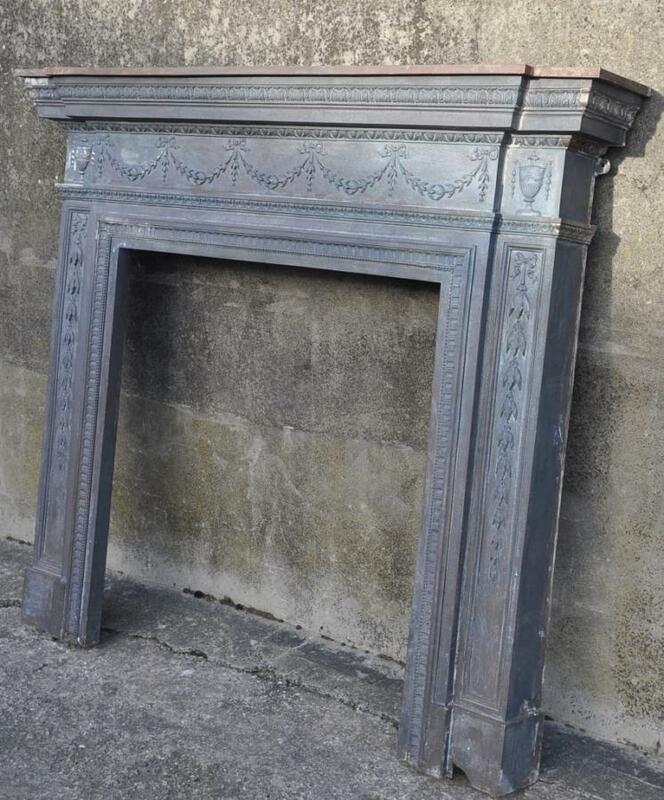 A good 19th century break fronted cast iron fire surround. 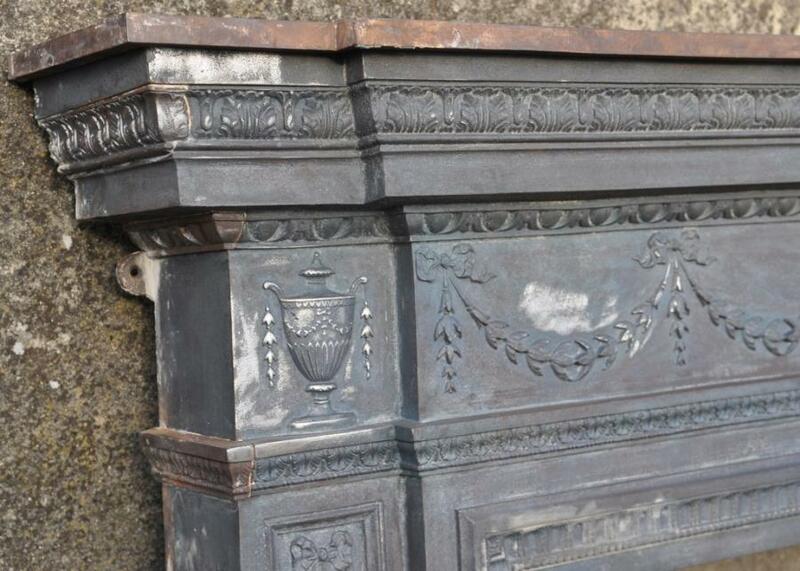 With various decorative mouldings, lidded urns and ribbon tied bell flower swags and drops. 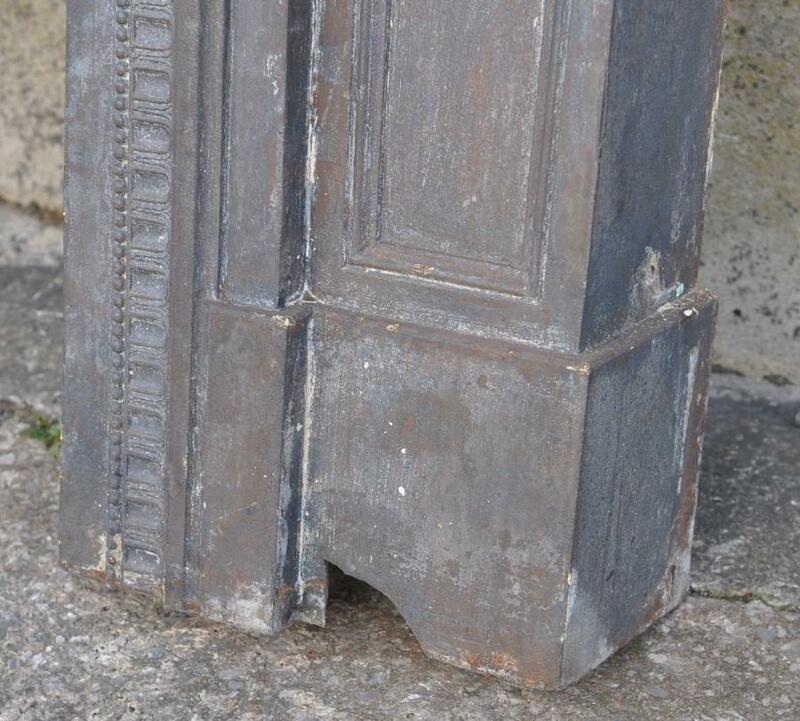 A chunk - approx 2 by 1.25 inches- missing to base of onejamb as shown in close up, no crack. Diamond mark on back showing a date of 1881. 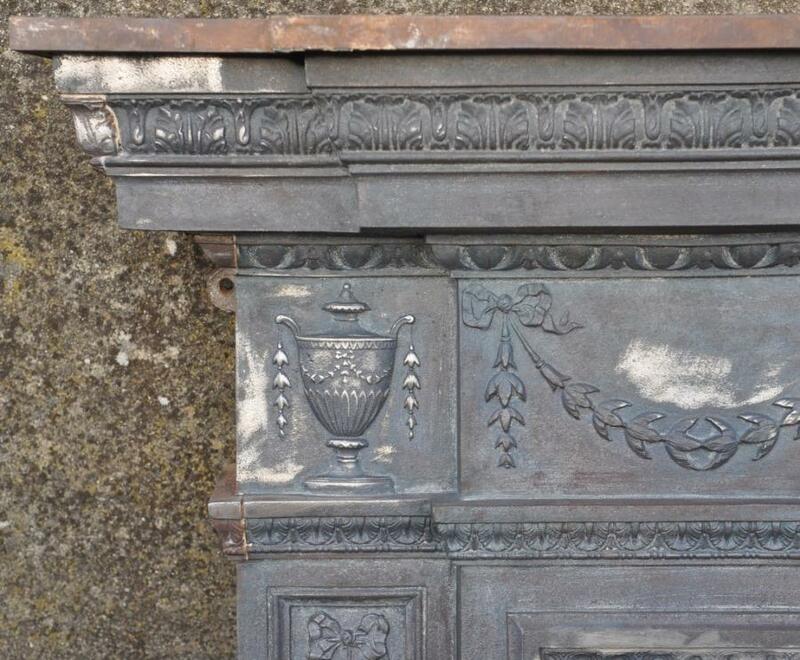 This has been stripped ( not blasted ) of paint and is ready to be grate polished, burnished and waxed or painted. This can be done or sold as is. Dimensions in inches/cms; shelf, 61and 5/8/156.5 x 9.5/24 height, 54/137. Max body widthapprox 55/140. Opening 36/91 wide by 38/96.5 high.